1 OF 3 PRETTY CONVERTED BARNS SET IN ROLLING COUNTRYSIDE ON THE COAST These detached and semi-detached properties have been lovingly restored and stylishly furnished by the owners who have gone to great lengths to offer beautiful accommodation with all the contemporary conveniences imaginable. 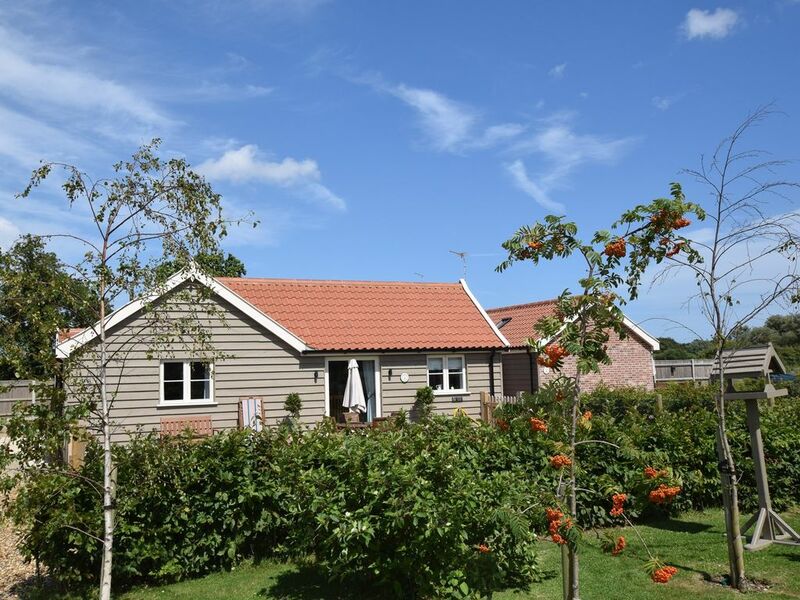 The perfect location for a relaxing holiday near the sea set on the East Norfolk Coast. Set on the edge of this pretty seaside village the sea is a short walk away with wide and gently sloping beaches ideal for picnics and relaxing. In the winter months of December and January spot the seal pups along the beach edge. Further afield you will find stunning lighthouses and windmills buildings that make Norfolk so famous. The Norfolk Broads are a short drive along with Great Yarmouth and its pleasure beach. With lots of wide open space this quiet corner of Norfolk is a great place to forget your busy life and get some fresh air. On guests arrival and entering this stylish cottage which is all on one level into an open plan kitchen/dining and lounge area the kitchen is fitted with everything you could need electric oven and hob dishwasher microwave fridge/reezer washing machine and dryer and a Nespresso coffee machine.The velux windows and the French doors on either side allow the light to stream into the room The dining area with table and chairs is at the heart of this room and having French doors leading to the patio area the lounge area has comfortable sofa s making this the perfect place to relax with a smart TV?DVD and PlayStation. There a two bedrooms a double bedroom with smart TV and an en-suite shower room a twin bedroom with smart TV. The family bathroom comprises of bath shower cubicle wash hand basin and WC. Outside: A private enclosed patio are with garden furniture and BBQ. To the front of the property and enclosed garden laid to lawn with garden furniture and views over open field with off road parking.